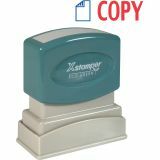 Xstamper Red/Blue COPY Title Stamp - Xstamper "Copy" Title Stamp prints two colors simultaneously. Pre-inked for 100,000 impressions. 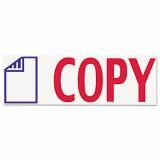 Each re-inking provides another 100,000 impressions. Patented cellular inking process delivers cleaner, more consistent impressions. 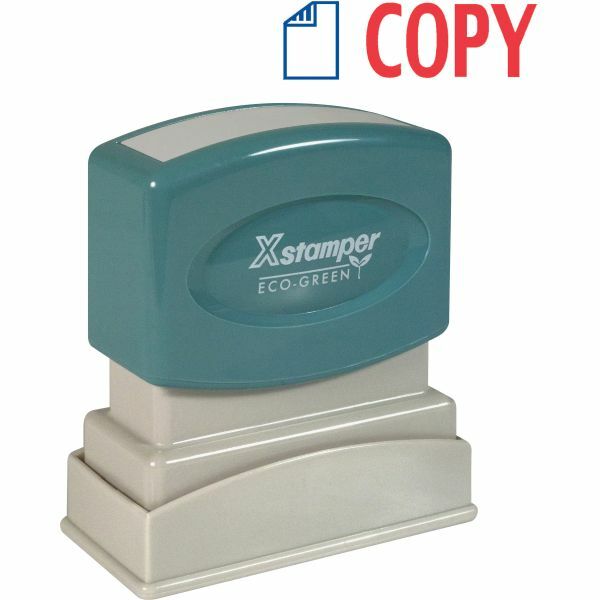 Spring-activated, retractable stamping surface keeps work area clean. Made from high-impact polymers for years of trouble-free use. Impression size is 1/2" x 1-5/8".